In this article, we outline the most important expectations for the 2019 iPhones. When does the iPhone 2019 come out and what specifications can we expect? The device probably gets USB-c, three camera lenses and possibly support for the Apple Pencil. In addition, there are versions with OLED screen and a variant with Micro LED screen. In 2019, Apple will also release new iPhones. Based on the first rumors, one can already deduce what we can expect. Because the better you are informed about upcoming and current iPhone models, the better you can make a choice if you want to buy an iPhone. 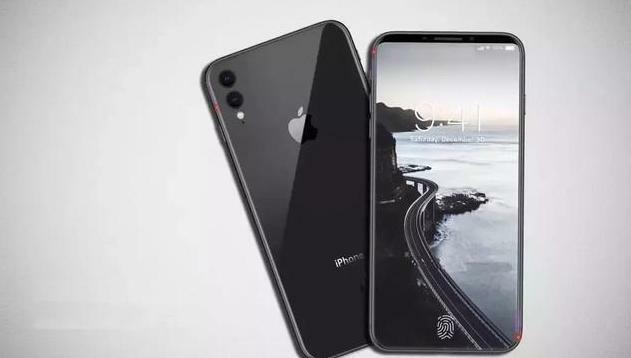 We expect the 2019 iPhones to be available in the autumn of 2019. Usually, Apple announces new iPhones in September, which are available in stores a few days later. In addition, Apple seems to have moved away from the fixed number of two new models and there is more variation in screen size. Also in the 2018 iPhones, three iPhone models are expected, with different screen sizes and in different price ranges. It seems that in 2019 Apple will also follow such an approach, with something for everyone. Does it make sense to wait for the iPhone 2019 release date? That is mainly due to your personal situation. There are always rumors that there are even newer iPhones coming, so you cannot let the rumors and an iPhone buy you the best when you need one. With advice on iPhone purchase, we also help you on your way. Apple plans to provide all 2019 iPhones with an OLED screen. With the iPhone 2018, Apple plans to provide the two top models with OLED, with a cheaper LCD model. Before 2019, however, Apple would want to fully switch to OLED, the Electronic Times reported from South Korea. It caused the share price of Japan Display to plummet, as this company supplies LCD screens to Apple. However, the rumor that Apple will fully switch to OLED screens in 2019 is contradicted by the Wall Street Journal. They report on the basis of sources that Apple will also want to release an iPhone with LCD screen 2019. These models will remain very popular in the coming years, if only because of the lower price. One of the iPhone models that Apple releases in 2019 may have a Micro LED screen. This writes Bloomberg based on own resources. Micro LED delivers better image quality than OLED and lasts longer. Apple would also want to use the screen technology in the Apple Watch and in a possible future AR glasses. Apple is investing heavily in Micro LED displays that offer the ability to make future devices thinner, brighter and more energy-efficient. Apple would like to release an iPhone with three camera lenses in 2019. This is not really new, because competitor Huawei already has a smartphone with a triple camera, namely the P20 Pro. The device combines the image information of all three camera lenses and makes a 10-megapixel photo of it. The combined info provides a better picture. In addition, a third camera can be useful for advanced augmented reality functions. After the Taipei Times, this rumor was again confirmed by the Economic Daily. This rumor is less credible. Apple plans to make the Pencil suitable for the iPhone. Apple engineers would be busy to develop an iPhone that works with a digital pen. A source reported to The Investor that such an iPhone should be on the market in 2019. Apple would also be talking to stylus makers for a possible collaboration. It would be a new type of Pencil, which deviates from the current model that works with EMR technology. Do you already want a new iPhone? Do not you want to wait for the new iPhones that will not appear until the autumn of 2019? Then you can also buy the iPhone X, the latest top model with a 5.8-inch screen. Are you looking for something cheaper, then you better buy the iPhone 8 Plus. This device also has a large screen but is a few hundred euros lower in price.